Hello decor8 readers! 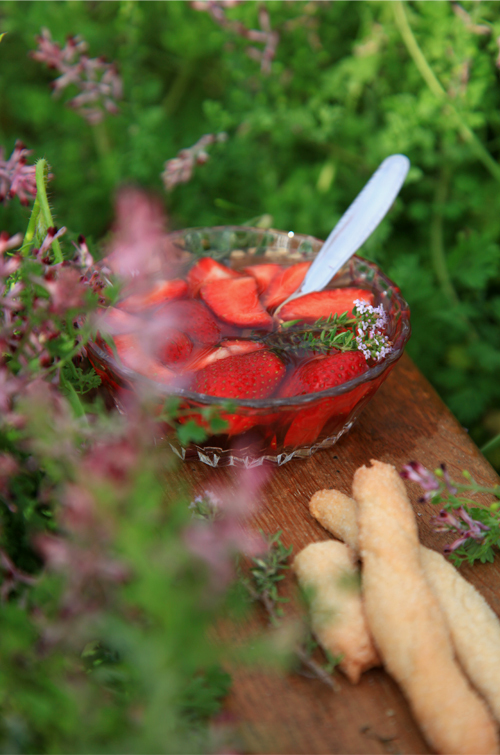 It's me, Emilie, and I'm here to post a little something red for you for my Playing With Food column... A few months ago, I went down to the south of France to the home of my grandparents. They live near the sea Méditteranée, in a region called l'Herault. There, the sun shines almost all year, the weather is warm, the sky is often blue, and the village is surrounded by fields and vineyards. It's so nice! 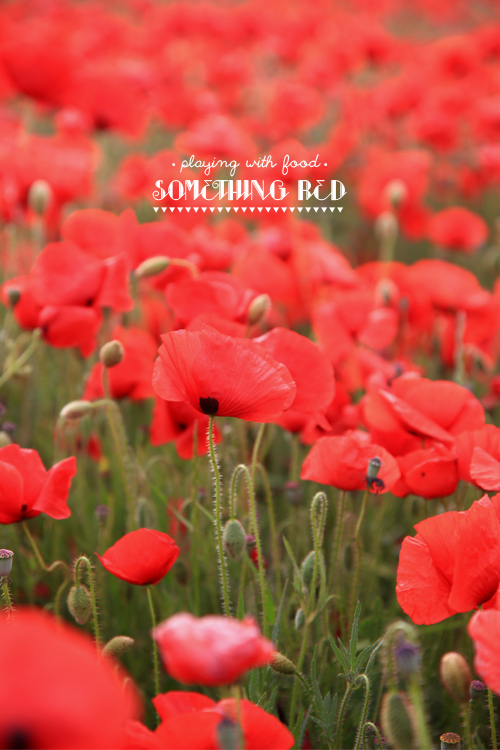 Going for a walk, we came across a field that was so special as it was a vast field of poppies! Like red paint in the fields, it was magical! The wind blew the flowers and a kind of red wave was rippling in the wind, just amazing! I stopped for a moment, and the next day I returned with a wicker basket. 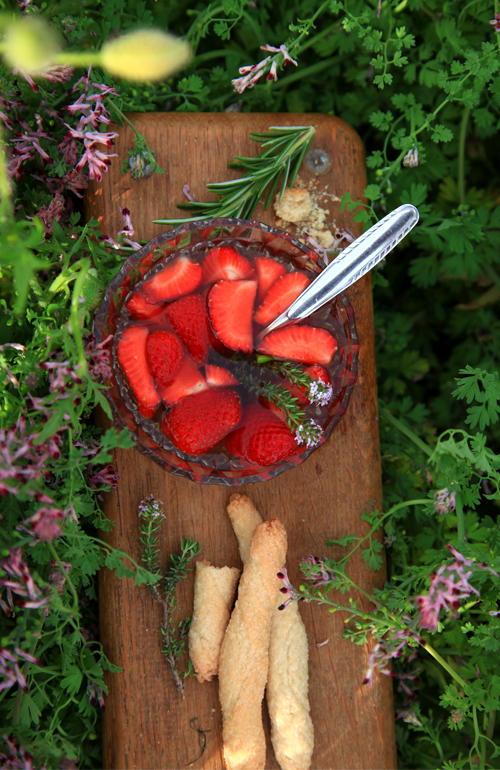 We sat near the fields, we had cookies (shortbread specific region) with strawberries that I had prepared the day before by marinating them in a mixture of thyme and sugar, and we took the time to snack while enjoying the beautiful poppy fields. This visit gave me a new idea for my column on decor8, Playing with Food! Why not occasionally include some articles with colors that inspire me? So I searched red food ideas to add to the theme. 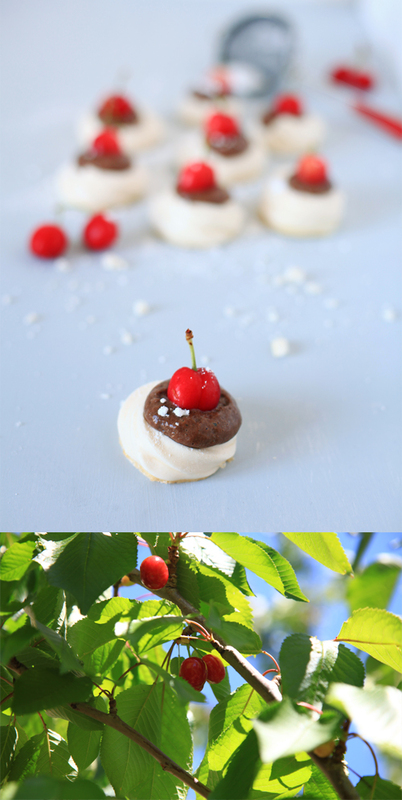 I picked cherries from the garden and I made small meringues, accompanied by a chocolate mousse and a cherry. I also picked a lot of raspberries (it's finally summer, there are plenty in the garden! YUMMY! 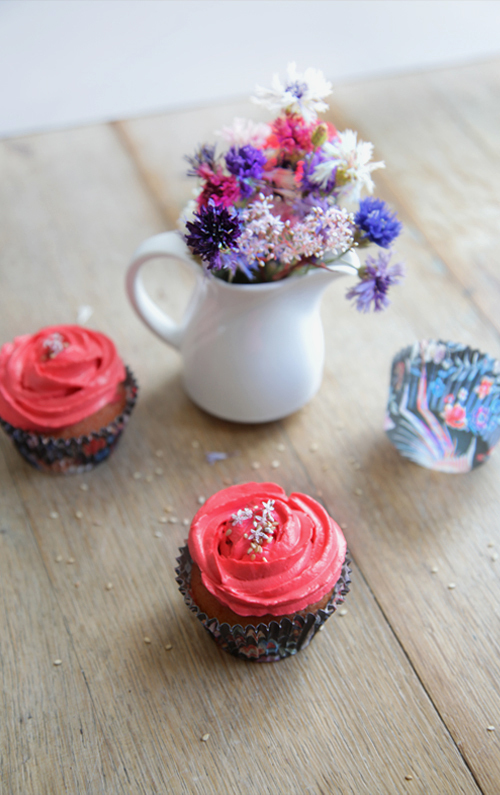 ), made tarts, and then I ended up with a few cupcakes with red cream icing, of course! 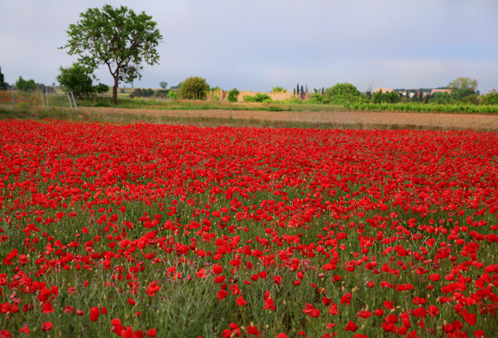 All this reminds me of this pretty poppy fields, the one who made me realize that summer was finally here! What color is inspiring you lately? Any colors that you have noticed popping up often in your dishes at home that you're preparing lately?